It was probably really hard to make a followup to the epic Breaking Bad. Despite the high expectations and lower stakes, Better Call Saul delivered an interesting story told with the same high quality camera work and incredible writing not to mention the spectacular acting performances of Bob Odenkirk and Jonathan Banks. Each episode is a masterclass in television in terms of setting up the story, pacing, lighting, and directing. There is drama here, comedy, and just excellent television. I will not give any spoilers here because I want my readers – particularly Breaking Bad fans but anyone really – to go out and watch these 10 episodes. I will say that Mike’s backstory was some of the best television I have seen in 2015 (episode 6 if memory serves). All the secondary acting is also out of sight. Catch up on this one during the TV lull (nothing on now except GoT) and get ready for season 2 in the fall! 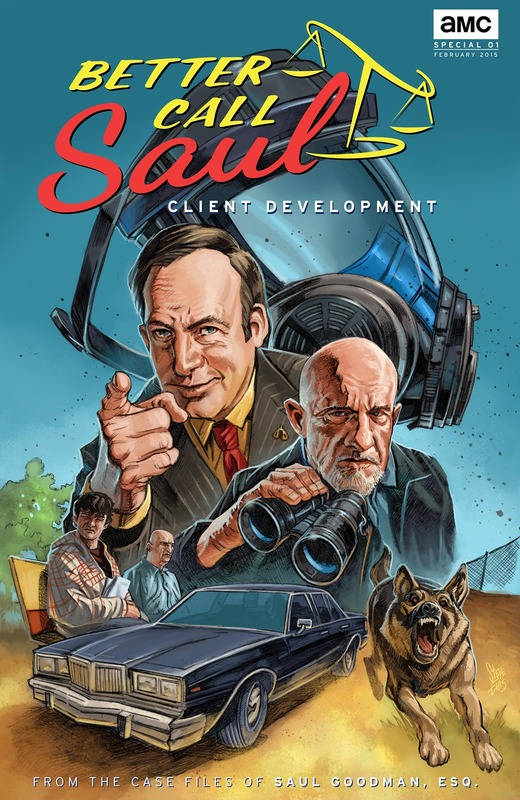 This entry was posted in TV Series and tagged better call saul, breaking bad, jimmy mcgill, postaweek, reviews, saul goodman, television shows, TV series, TV shows. Bookmark the permalink.